Having your home illuminated with natural light will not only develop its aesthetics but will also improve the health of you and everyone else in your home. 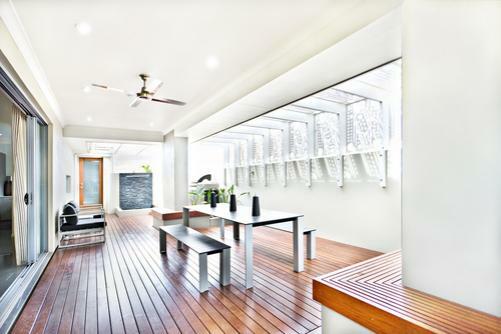 There are a variety of benefits of natural light filling out your living space, although not many homes are designed to allow in vast rays of sunlight. This is due to the types of materials used, such as wood on staircases instead of Glass Balustrade. Many people rely on the use of artificial lighting to illuminate their living space, and this can leave a home lacking a calm and soothing atmosphere as well as bumping up energy costs. It is thought that almost half of the energy used in a typical home is used for space conditioning, controlling the light and temperature. Allowing natural light to fill up space can help reduce energy costs considerably. As well as the financial aspect, there are also many other positive benefits of opening up your home to natural light. Allowing yourself to become exposed to natural light is healthy, both for your mind and body. Studies have shown that those working in natural light are more productive than those that use artificial light, as well as being happier, calmer and just generally feeling better about themselves. Natural light is also our main source of Vitamin D, which is an essential mineral for our bodies. The vitamin is essential for keeping bones strong and helping to avert skeleton deformities, soft bones and diseases such as rickets. Having a home filled with natural light will improve its aesthetics in the way that it will make space appear larger and more welcoming. Rooms and hallways will appear less cluttered than if they were kept dark with reliance on artificial lights from bulbs. Natural light will also guard against mould growing on various surfaces, keeping your environment safe and free of any harmful bacteria that may thrive in dark and damp spots. As well as looking great, using glass on your staircase is incredibly easy to look after and maintain so as it gives your home that natural and calming feel for years to come. As a material, glass is much stronger than wood and is not susceptible to corrosion. If you would like to find out more about how glass balustrades can improve your home or office space, then please contact the Blueprint Joinery team on 01691 671030. We will be more than happy to provide any help or assistance that you may need.